Congratulations to Sara Matherly and Kelly Caravella! 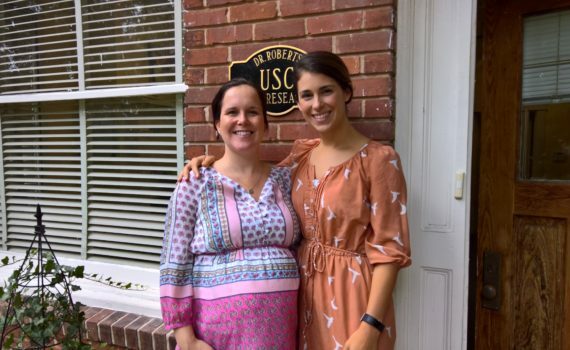 Two of our graduate students, Sara Matherly and Kelly Caravella, will be participating in the South Carolina Leadership Education in Neurodevelopmental and Related Disabilities (SC LEND) program during the 2017-2018 year! SC LEND is a training program with the goal of improving access to healthcare and services for children with disabilities and their families by training various professionals in clinical knowledge, advocacy, cultural competence, etc. We are proud to have them represent our lab in this larger state-wide initiative with MUSC, Greenville Health System and other organizations dedicated to the welfare of South Carolinians.